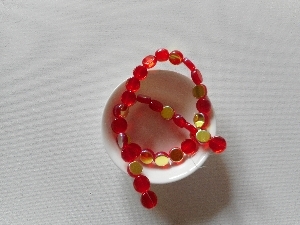 Red,Mirror backed,glass coin Beads, 10mm. Ideal for handmade jewellery, decor, garment and costume embellishment. Pale Blue,Mirror backed,glass coin Beads, 10mm. Amber,Mirror backed,glass coin Beads, 10mm. Pale Pink,Mirror backed,glass coin Beads, 10mm.